SaaS (Software as a Service) is an application that runs on a remote server and is accessible as a "service" through the Internet. The main advantages are: no download or installation, no infrastructure to maintain, no initial investment and no technical expertise required. This model allows you to increase productivity and have a quick return on investment. Would you like to receive further information from our consultants on the Cloud benefits? SaaS solutions are ready to use, without traditional software costs: purchase and maintenance of servers, information security, installation and maintenance of applications. SaaS enables organizations to delegate all these aspects and focus on the key aspects of their business. SaaS users benefit from the investment in infrastructure made by the SaaS provider, and achieve economies of scale. SaaS vendors use the Cloud computing architectures, scalable and never working under full load, so SaaS applications can scale rapidly and efficiently while keeping costs low. SaaS services are offered by specialized and focused companies that invest in staff and technical resources to ensure the highest levels of functioning, reliability and safety. SaaS users just have to use the applications. Moreover, thanks to technologies developed in collaboration with the University of Bologna, encryption of all sensitive data using private keys at the single license level is performed. 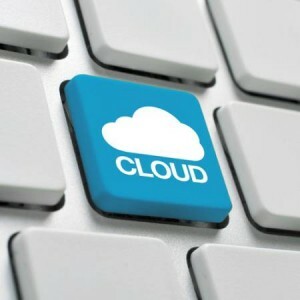 This guarantees the confidentiality of data even against third party suppliers and makes the Cloud Vitaever secure technology for health applications. The SaaS model leaves the service provider the responsibility to manage and update the application. SaaS vendors are working continuously to improve their solutions with updates, maintenance plans, designing new features, starting from the opinions of thousands of users and the latest technologies. This continuous innovation refines the process underlying the SaaS. It 'a job whose daily benefit the SaaS user, at no additional cost, free from the constant need for updates to counter obsolescence. SaaS need only pay when you are ready to use! No need to buy hardware or make initial investments: the latest updates and new features are always available. The SaaS model frees the hidden costs from the organizations of traditional software, as well as the risks and delays of their development. SaaS solutions are ready for use in minutes, versus the months needed for traditional applications , generating a rapid return of investment.